Happy New Year 2019. Know How to Make it More Joyful? Read to know how you can make your 2019 more joyful. Years come and go; some fast, while others slow. 2018 has ended and if we look back, it was a pretty slow year for the investment market. It started with volatility and ended with the same, wiping out huge gains made in the year 2017. But, with the start of the year 2019, a new pattern is seen in the market growth behavior. A large number of experts have stated that 2019 will be a year of growth for the India equity market, and the growth of equities means growth of equity mutual funds. So, how you can benefit from this and make 2019 more joyful. Well, in the next 5 minutes, you will know how. Everyone is uncertain as to when volatility in the market will end. Some say that it will end at the start of 2019, some say to wait for the general elections in 2019. Well, we will have to wait to see when it ends, but why not take the benefits from this volatility while we wait. As you may already know that the NAV of a major number of schemes have fallen due to this volatility. Now, when most of the investors are taking this as bad news, you must not. As Warren Buffet said, “Be fearful when everyone is greedy and greedy when everyone is fearful”. Think of this time as a season sale going in the mutual fund industry and accumulate additional units at the discounted prices at which these are available. By doing so, you will enjoy optimal benefits when the equity sector of mutual funds will start showing a recovery, and nothing is more joyful than some extra profits. Start of a new year surely brings a lot of happiness, but it also brings a little stress in the form of tax filing. With just 3 months remaining till the end of the financial year, one important thing that you should make plans for is tax saving, because money saved is money earned. One of the best and most trending ways of saving taxes that is being picked by a lot of investors this year is investing in ELSS funds. The reasons behind this are many, but the major factors are as follows. Have a lower lock-in (just 3 years), as compared to other tax instruments u/s 80C. Provides a much higher growth in comparison to other tax saving instruments. Fully transparent, which allows the investors to make a sound choice with their investments. Everyone today like being up to date with the trends, but fail to do so when it comes to financial planning. Savings bank account, a common way in India to save money, but do it really help us in saving. Well, the interest that you get on the savings bank account is 4%, and the current inflation rate in India is between 4.5%-5%. So, using these, you can do the math. In simple terms with a savings account, you are losing around 0.5% of the value of your money every year. 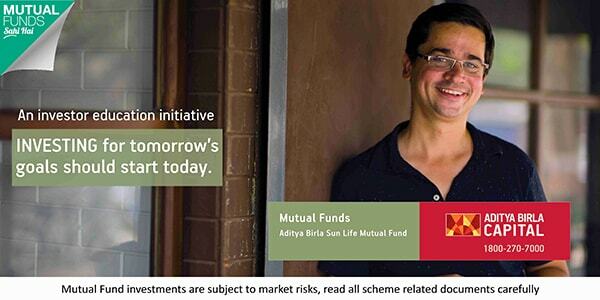 But, here too, mutual funds are at your rescue, and the solution to this inflation problem is a liquid mutual fund. These are instruments that investment in debt and money market instruments, keeping the Macaulay duration of the overall portfolio less than 12 months. These schemes on an average provide an annual growth of 7%-8% on your investments, and the best thing is, you can redeem your investments anytime you want. With features like instant redemption, now investors can redeem their investments within 10-15 minutes. In addition to these, there is no exit load, so you can redeem the money even after one day of investment. One of the best launches in the mutual fund industry in 2018 is the free life insurance on SIP. In 2018, three AMC, Reliance Mutual Fund, Aditya Birla Sun Life Mutual Fund, and ICICI Prudential Mutual Fund, launched a special feature which allowed investors to enjoy the benefits of free life insurance on SIP investments. The amount that they will get depends on the value of their SIP and their investment tenure. Now, free stuff always brings joy and if that free stuff is life insurance, the intensity of the joy increases. So, these were some of the features and products in the mutual fund industry that you can add to your to-do list in 2019. If you haven’t started investments in the mutual funds, then remember that a financial resolution is the best new year resolution you can make. We bid you all farewell and hope that you enjoy the last day of the year in the best possible way. The entire team of MySIPonline wishes you and your family a very happy new year. See you all next year!